"Fostering a creative awareness or mindfulness, about where you are, what you are doing, and where you are going is an important step in getting clear and having an organized and productive life." 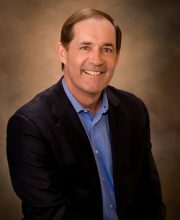 Joe Sweeney, the best-selling author of Networking is a Contact Sport, has been a successful business owner as well as a sports agent. Through it all, he has learned quite a few things about human behavior and what makes people tick. His most recent book, Moving the Needle: Get Clear, Get Free and Get Going in Your Career, Business and Life! is all about trying to figure out what your next move should be, especially if you’re stuck in a rut or have had a big change in your life. It’s the perfect guide for when you need clarity to move forward on your goals. "When you get quiet, you get clear enough to ask yourself, ‘What am I pursuing and why?’"
Increasing clarity adds laser-like focus to what we want to achieve. When you’re clear on what you want and why, you can answer the question of what success looks like and go after it with unstoppable passion. One of the first steps you can take to increase clarity is to make time for reflection and awareness in your life. Quiet time for the mind is similar to a tune-up for a car. It increases your mind’s performance and runs better. Meditation can achieve this as well as reflection. Where do you think you are in terms of fulfillment and satisfaction in your life? Are you finding happiness and taking pride in what you are accomplishing? Have you found the sweet spot where you are being your best in all areas of life? Removing clutter and finding balance in your life are also beneficial in helping you achieve clarity. The author recommends writing out what your ideal day would like to help identify what activities should be included in your day. If you focus on completing tasks you should be doing, then there’s less time for items that are not important. So when you’ve achieved clarity and figured out what is truly important to you, then you are ready to take action by freeing yourself from whatever obstacles stand in your way. "Getting free is all about creating the proper mind-set when interacting with people, planning activities, managing money and looking at life, as well as eliminating self-limiting thoughts." According to Sweeney, one of the first steps to getting free is accepting responsibility for our actions. Accepting what happens in our life causes us to change course when mistakes are made, learn from them and come back stronger and more resilient for the next challenge we face. Reflecting on our regular habits and the people we interact with on a daily basis can highlight limiting thoughts and behaviors. This is all about having habits that enhance our energy and power us throughout the day (such as exercise, and healthy eating). It is also about the people we surround ourselves with and how they affect our thoughts and behaviors. Do they energize and inspire us? "Contemplate your uniqueness and what differentiates you from others. You want to figure out how you can become more desirable, uniquely attainable and economically irresistible. Understanding this is a key step in getting clear." Whether it’s personal branding or finding a way to stand out in today’s competitive economy, differentiating ourselves is vital. The author uses the example of Apple and how it differentiated itself from the competition and ended up dominating their market. Apple achieved this by understanding its customers and figuring out what their needs would be in the future. Sweeney suggests we apply the same thinking to our careers to figure out what our customers’ or bosses’ future needs would be. Keep asking how we can differentiate ourselves from our competition. How can we add value? Asking why can sometimes help to dig out the true reason you want to achieve something. Keep asking why till you’re happy with the result. Lastly, following through and taking action can help us stand out from the competition. As Sweeney adds, “people remember when you follow through on something you said you were going to do”. This valuable book contains nuggets of actionable advice that can be put to immediate use. Find clarity in your life on what you truly want and get going on your goals. What’s stopping you? 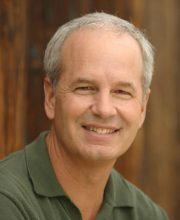 Mike Yorkey is the author, editor, or collaborator of more than seventy books. He lives in the San Diego area with his wife, Nicole.